If you’re a food blogger or want to have your own site offering food reviews and recipes, then Foodie Pro is the best of the best. This classy, clean and simple yet sleek design has so many features that allow you to show your stuff however you wish to. You can add or remove columns and widgets, insert ad boxes and banner images wherever you want, etc. There’s no limit to the amount of customization options available to you. 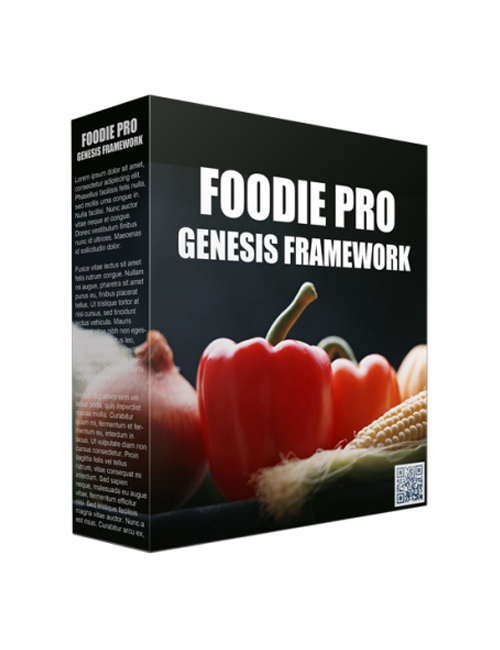 Foodie Pro is designed exclusively for food enthusiasts and once you see this powerhouse theme in action, you’ll be blown away. You get numerous colour and typography choices, stylization options, featured areas to put your own images, recipe pages, sliders, forms and opt-in pages and much much more. The food niche is evergreen and immensely popular because people are looking always for new food recipes and options. Whether it’s for health nuts wanting new healthy options, or people wanting to try new dishes and desserts, you won’t be lacking when they see what you have to offer once they land on Foodie Pro. Everything is here and now it’s time for you to hit it out of the park. Grab, install and enjoy.